Home/Discover our new innovative PRINCE2 Elearning and enjoy a 10% discount in March! Discover our new innovative PRINCE2 Elearning and enjoy a 10% discount in March! Developed by QRP in-house experts, our fully accredited PRINCE2 Foundation e-learning has been taken from the official PRINCE2 2017 syllabus and made into an interactive and exclusive online training solution in order to prepare you for the PRINCE2 Foundation exam, and even more. Don’t miss out our special offer, get 10% off your PRINCE2 Elearning Foundation. Our experienced PRINCE2 experts explain the method through a wide range of video, interactive readings and practice exam questions, which will help you to not only know PRINCE2 and obtain the PRINCE2 Foundation certification, but also apply it for your projects. The course has been designed to ensure that it provides an interactive and engaging explanation of the PRINCE2 method. You can access the PRINCE2 online course from all types of devices (laptops, Smartphones or tablets), wherever you want and whenever you want, and without having to take time off work. So you can learn at a pace that suits you, at home, at work or on the go! 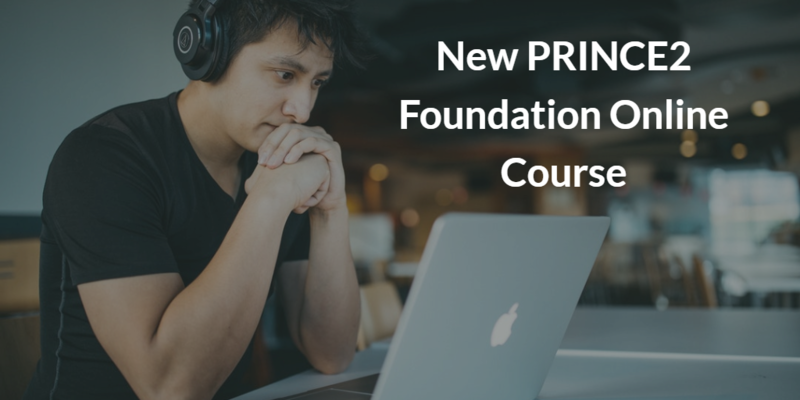 The PRINCE2 Foundation exam will take place online thanks to the remote ProctorU technology which gives you the freedom to take your exams at a time and location convenient for you, using a webcam and a reliable high-speed connection. For a limited time only, Buy the new PRINCE2 Foundation Elearning and receive a 10% discount on your package. Hurry up! This offer is valid until the 15th of March 2018 only. Buy now!